San Francisco-based Holberton Schoolis a project-based alternative to college for the next generation of software engineers. 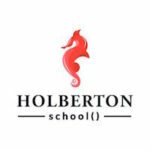 Holberton School offers a two-year higher-education program to become a full-stack software engineer. Through project-based and peer learning, Holberton students unleash their creativity and naturally learn how to work as a team to solve practical challenges. Software engineering is a creative and exciting enterprise. Our curriculum is 100% hands-on, challenging and exciting. Holberton students create many programs and systems; they work on industry-level projects and build their own applications. Our presentations, talks, keynotes and fireside chats with mentors are always open to the community, and anyone can join, whether or not a student at Holberton. As the world changes faster and faster, nobody knows what will be required a few years from now. Instead of teaching specific programming languages or tools that will probably be outdated by the time our students graduate, we teach problem solving. Students learn whatever they need to learn to solve software engineering challenges. We believe that people from every community and background should have the opportunity to become a software engineer. That is why there is no upfront cost to join Holberton School. We only charge a percentage of students’ internship salary and salary once they find a job. If our students don’t succeed, we don’t succeed. If more school would adopt our model, we could solve the students’ loan crisis that has become one of the biggest threats to the US economy. Minimum skill level No requirements. for 3 years after you get a job.